Ever find yourself looking for the “perfect” BBQ sauce to put on ribs, wings, pulled pork, or chicken? Something that isn’t too sweet, but has just the right amount of smoky flavor and tang? We may have just found one of the best on the market. 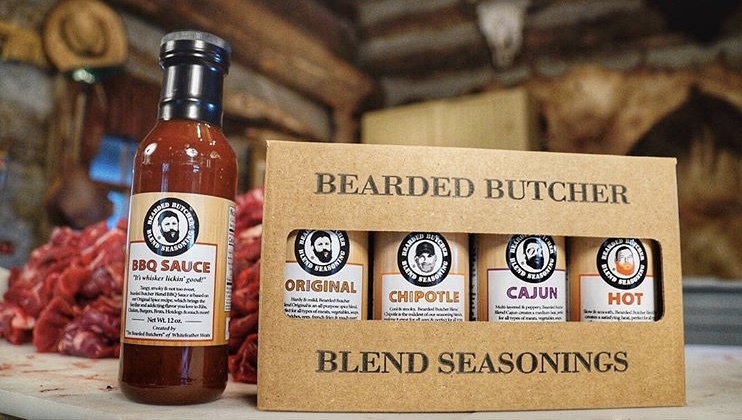 25 years ago, Seth and Scott Perkins became involved in their family business and grew it to be what it is known as today, Bearded Butcher Blend Seasoning. Taking pride in their product (free of sugar, MSG, and anti-caking chemicals) they created a series of 4 seasonings. The flavors include: Original, Cajun, Hot & Chipotle. They challenge customers when using their seasoning to “Use it on Everything”, from meats and vegetables to soups and sandwiches. In addition to seasonings, they also created a BBQ sauce described as “whisker lickin’ good”. It’s a popular item on their website and easy to see why, it’s delicious! Bursting with flavor, this BBQ sauce is hard pass up. How did they come up with the signature name? 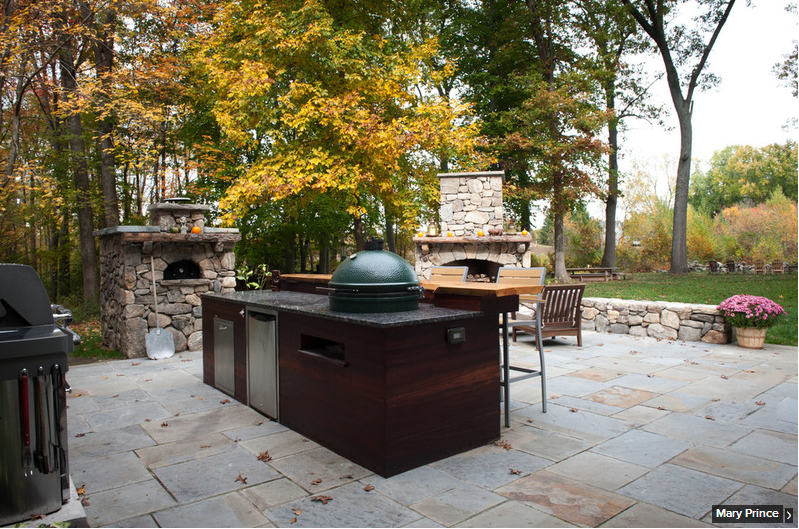 “We wanted to brand our signature meat products that we’d seasoned with our “house blend” seasoning with a stamp of approval. Our grandfather and father were both bearded, we were too, so we labeled ourselves “The Bearded Butchers”, and it stuck!” (Scott Perkins). So whether you are looking for a delicious BBQ sauce for a pulled pork sandwich or a seasoning to spice up your chicken noodle soup, be sure to check out Bearded Butcher Blend! Bearded Butcher Blend is sold all across the United States and internationally. 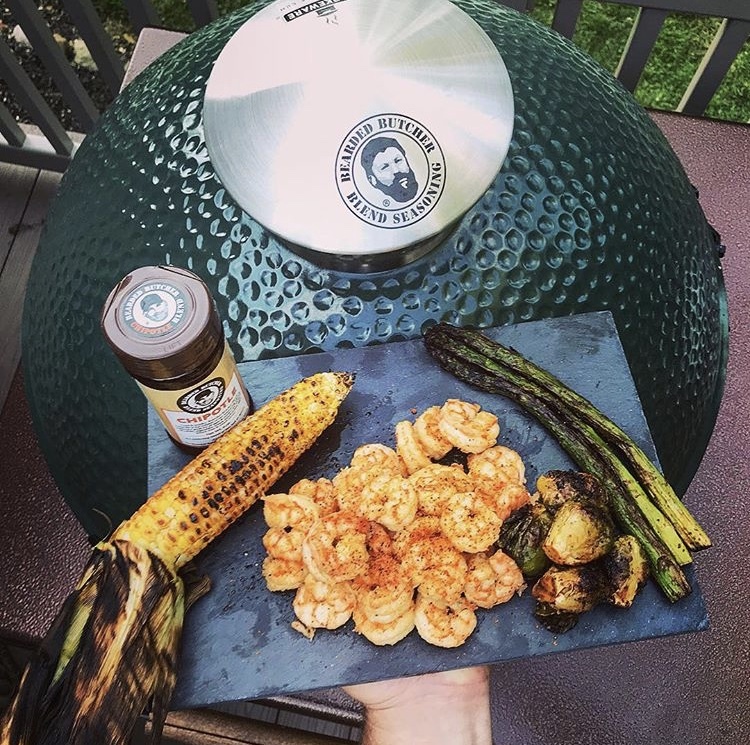 You can learn more about their company and find their products at www.beardedbutcherblend.com and on Instagram @beardedbutcherblend!